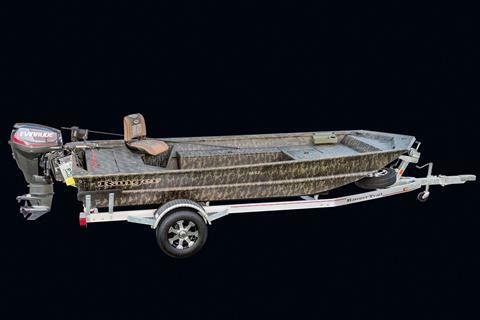 Measuring 16' 2" in length, the Ranger 1652 MPV is precision-engineered for a world of action on the water. 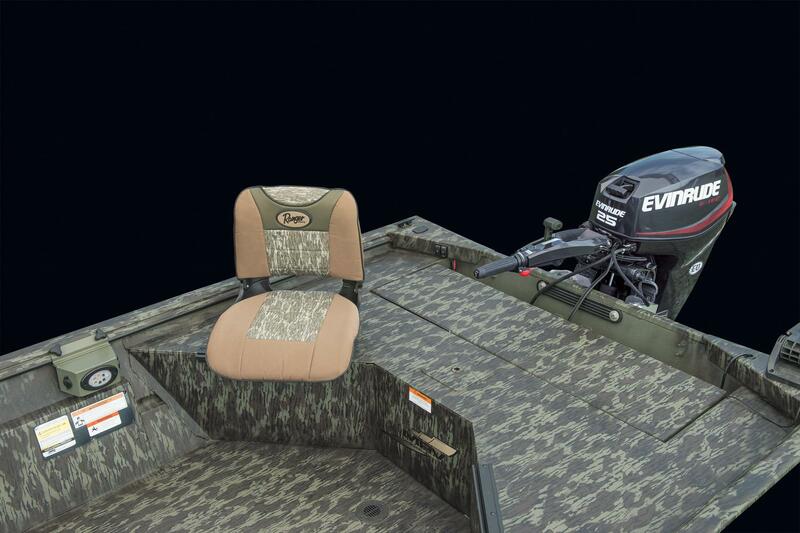 The 77" beam provides an ultra-solid foundation that's smooth, quiet and easy to maneuver. 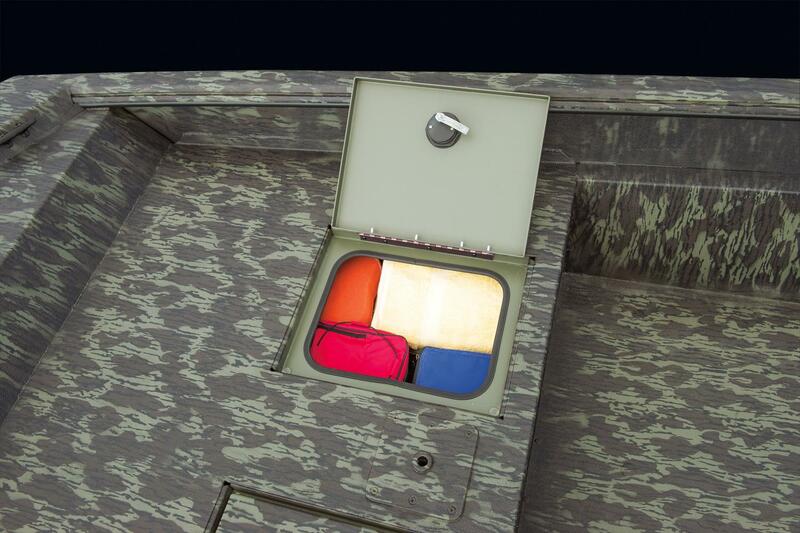 Clad in a super-tough, durable Rawhide™ finish, the 1652's Shadow Grass camouflage pattern is standard. 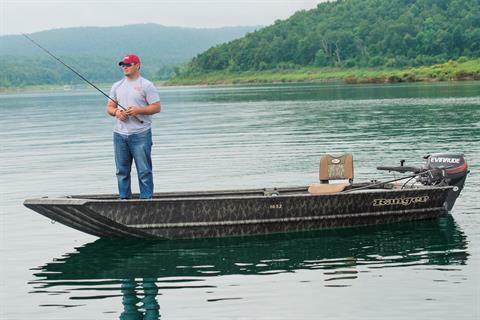 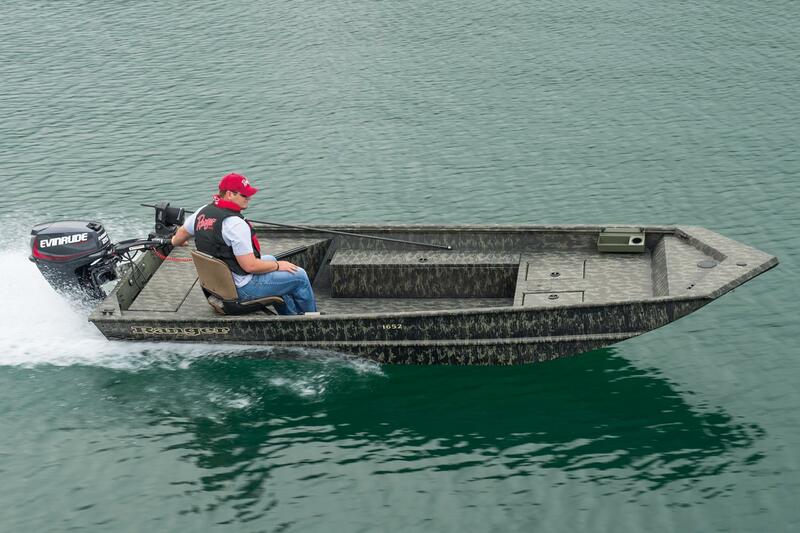 The layout is pre-wired with heavy-duty 6 gauge trolling motor wiring and the port side includes a rod/gun box that's built into the design, not spot-welded or bolted in. Inside the box, an organizer with individual rod tubes is factory-installed for a clean finish that helps protect your favorite sticks. 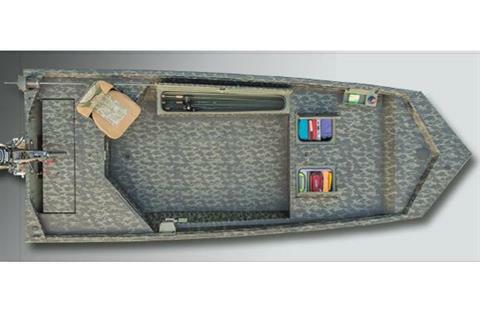 The spacious front deck is equipped with even more storage below while the wing-shaped aft deck creates a large rear platform as well. 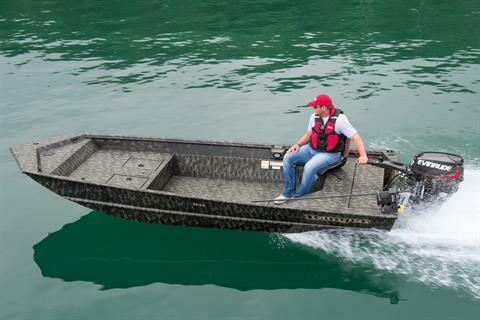 Also at the stern, driver seating can be positioned on either port or starboard locations and the contoured seating in this tiller model is hand built for all-day comfort and support. Elsewhere, the NMMA-Certified 1652 includes upright level flotation, tie cleats, bilge pump and lock track extruded gunnels for personalized accessories. 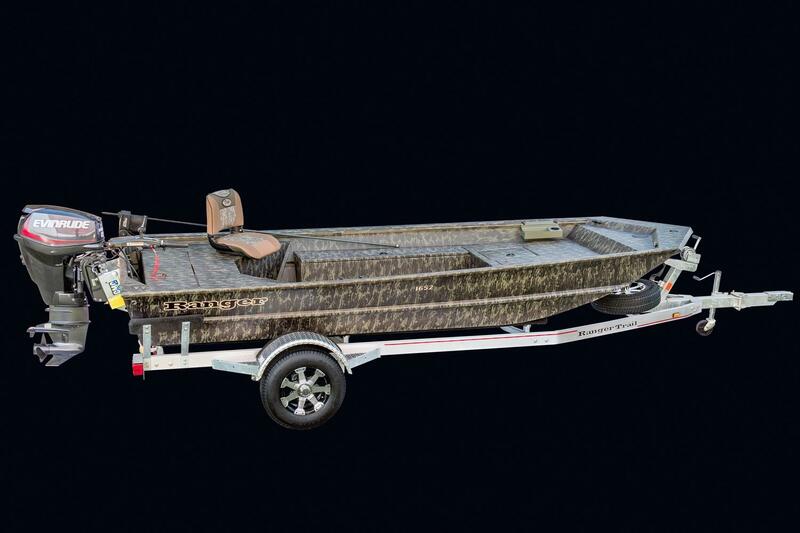 Rounding out the design, a custom Ranger Trail trailer brings home the obvious - this rig is loaded with quality and performance and Priced To Be Yours.